If you've ever eaten Snake River Farms beef, you'll know why I wanted to use their Wagyu for this dish. If you haven't, oh how I wish and hope you will someday. It's one of those bites of food that renders you mute, and even if you could talk, to try and find the language to describe how good it tastes is impossible. The beef melts in your mouth and is, quite honestly, one of the best things I've ever eaten in my whole life. I know the cooking process and professional expertise plays into how it tastes, but when you start with beef this good, it can only get better with great cooking. So, a few weeks ago, I called Kim Glineski at Snake River to see if I could order the Wagyu beef cap I needed for this dish. They were willing to work with me on it, but I had to buy 4 of them, and the price per pound meant I'd have had to shell out in the low four figures... something I knew I couldn't and didn't want to do. Yes, I have friends who love food, but none who, right now, would've wanted to spend that much money on meat. But we'll get to the meat-cooking portion of our program in just a few minutes. The first thing I set out to make was the lime sugar -- something I thought would be really quite easy. And you know what happens when I think something's gonna be easy: fail-o-rama. I needed Teflon-coated paper for this, and it was on my ingredient planning and procurement list; unfortunately, it got lost in the shuffle of a thousand different post-flu work projects I had to scramble to get done, and I didn't realize that I hadn't bought them until I cracked open the book to start pulling together my mise en place. Dangit. So, I sucked it up and used Silpat instead, which I thought might just possibly maybe perhaps work (while knowing deep-down inside it wouldn't), but I forged ahead anyway, because hell, it's only lime and sugar. Not like if it doesn't work, I'm out nine frajillion dollars or hours of sweaty labor, right? No, I'm just out a heaping helping of 12 hours of gas usage from my oven running overnight with a side order of maybe-I-should-just-get-an-effing-dehydrator-already. I put this mixture in between two layers of Silpat on a baking sheet. The book says you should flatten it into 5" disk-ish shapes. Not sure why. I tried to do it in small bits, but when I rolled it to flatten it, it just T-1000'd itself into one giant blob. I put it in a very low oven (about 120-125 degrees F) and went to bed. The more white-ish edges kind of resembled what it was supposed to look like, but the rest of it? Not so much. It was bendy and taffy-like, so I just let it sit uncovered in the warm oven, with the oven door cracked open, to see if it would dry out. It didn't. It just got darker and even more bendy and twisty, so peace out, lime sugar. It was nice knowin' ya. No time for whining, though. Life's too short. Onward and upward: time to finish the soy pudding! I stirred in more soy sauce and strained the liquid through a fine-mesh strainer into a plastic deli container. The natural sunlight on it kind of makes it look like a metal canister or something, doesn't it? I put it in the blender, along with a little bit of soy sauce (probably about 2T) to help it along, until it was the texture of mayonnaise. I poured it into a squeeze bottle and put it back in the fridge until it was time to plate. Then, I got working on the beef. I trimmed away the silverskin and visible pieces of fat on the outside, squared off the tapered end, and cut the beef into two pieces, which went into separate plastic ziploc bags. I squeezed out the air as best I could (please, oh lord in heaven, magical tonka bean witches, and Oprah's The Secret, send me a Cryovac), and put both bags in a 59-degree Celsius water bath, courtesy of my immersion circulator. During the 30 minutes the meat was in the water bath, I prepped the cucumber strips. I sliced an English cucumber lengthwise and sliced it along my mandoline, making 1/16"-thick strips. I laid the strips on a damp paper towel-covered tray and covered them with another damp paper towel and stored them in the fridge. That whole process took all of 3 minutes, so for the remaining 27 minutes of the beef's cooking time, I putzed around, nibbling on Cheetos and prosciutto and an overripe peach, drinking Pellegrino, and getting nostalgic about my cassette Walkman and the Depeche Mode tapes I played over and over again (you'll understand why when you see the "Music to Cook By" below). I took the bags of beef out of the warm water, and put them into a bowl of ice water for 15 minutes to stop the cooking. Now, here's where I diverged a wee bit from the book's instructions. I knew I was going to serve this as an entree. And, I knew the people I was serving it to wouldn't really love the idea of the meat being so red on the inside (even though it was cooked -- it's that when you do beef sous vide, medium-rare looks like rare). So, I cut the meat into thin strips that I'd sear later on just before plating. The last thing I needed to do was prep the honeydew melon. Gosh, is there any better smell than honeydew? I mean, I know there is.... but on a summer afternoon, when it's hot outside, and you just want something cool and clean and sweet and crisp and so fresh-smelling? I'll take honeydew over cantaloupe or any other melon or fruit any day. The book had very specific slicing instructions on the honeydew. I took one look at them and decided that since I wasn't plating it on a rectangular dish as they did in the book (the photo of which is so beautiful, by the way), I'd just slice it however I felt like. Again, another dish I wish I could've had you all over to try. Succulent, eye-closing, deep breath-inducing beef with the fresh, clean, cool crispness of the melon and the cucumber... a slight zing from the crushed pink peppercorns... the saltiness of the soy pudding.... AMAZING. Yes, the lime sugar would've rocketed this off into the stratosphere, for sure. And, looking back, if I'd had a few extra limes, I would've drizzled a wee bit of fresh-squeezed lime juice on this; but even without it the dish was outstanding. You'll see there's cilantro on this portion -- my portion did not include cilantro, but my friends who ate it loved that extra bit of green to round out the flavors. I'd make this again in a heartbeat. In fact, I've been thinking about it as a salad: mache (or maybe even pea shoots), strips of seared gorgeous beef, cucumber, melon, and a lavender honey-lime-soy vinagrette. I think this might be just the thing for a Sunday night dinner with friends. Resources: Mishima ribeye cap from Seafoods.com; honeydew from Whole Foods; English cucumber, cilantro, and limes from HMart; Domino sugar; eggs from Smith Meadows Farm; citric acid and agar agar from L'Epicerie; lime oil from TPSS Co-op; San-J gluten-free tamari soy sauce. Music to Cook By: Depeche Mode; Catching Up With Depeche Mode. I don't know how to describe my love for Depeche Mode. They were the one band in high school who, along with Phil Collins and Journey, wrote and sang the songs that made me think man, they totally GET me. They know how hard my LIFE is, and stuff. Sigh.... I defy you not to dance around your kitchen to "Flexible." Seriously, you can't NOT move to that. Everything else? Just, LOVE. Transports me to high school and college, and then makes me think about New Order, INXS, XTC, and OMD. And Roxy Music. And, seriously. Stop me, now. Please. This sounds so delicious and it would have totally rocked more with the lime sugar. One question...what part of the cow is the cap? for as long as i've had a favorite band, it's been DM. well over 20 years now. did you go see them on their current tour? Once again, you turned out a gorgeous dish. Oh, your description of how great this dish makes me want to actually attempt it. I've wanted to try sous vide for a while now. The beef sounds incredible. Ok - I've been pulling my hair out for like 3 weeks over this exact recipe. You seem to have had the same problems with the lime sugar that I did (and, yeah, I also tried to fake the teflon paper with a silpat, and got a nasty caramel-like crud as a result). So, yeah. I'm totally going to keep whacking at this until I get the bloody sugar right... OCD por vida, I guess. Do you know of anyone that sells teflon paper? I've gone to all the usual suspects, and haven't found anything. Made this last night (sans Wagyu, nice bison rib eye in it's place)... same result with the lime rocks. Oh well, great dish in any case. Great post! Also I'm also a fan of Depeche Mode and I was lucky enough to take my wife to see their tour this summer. It was fantastic. I think it is hilarious that you are still refusing to get a dehydrator! The dish looked great, I am sure it was even tastier than it looked! Interesting. I'll give this a shot and use parchment paper isntead of teflon and see if I have better luck. Also, looks like there is a typo in the recipe. The honeydew melon squares (based on the picture) should be bigger than 1/4 inch! maybe 3/4 inch like the beef is more like it. I wanted to see how you dealt with that Carol, but you did the smart thing and just served it your way. I guess I'm on my own :-). I doubt that one day I'll eat at Alinea, or make any of the dishes, but I am so glad I have your blog to open my gastronomic horizons! Love that you cook to Depeche Mode! You have to get A-Ha's new album. It will rock your cooking time! Love the shot of the plates with the cookbook off to the side. This looks and sounds fantastic! PEACE OUT LIME SUGAR! For whatever reason... that gives me the giggles. Late last year I ran across FL@H. Intrigued and amused, I bought the cookbook, and made the brioche, and more. And then Bouchon, and what my wife calls the "Five Day Quiche". After many meals and long sessions in the kitchen, we now have a new standard for the best we serve in our house, thanks much to Mr. Keller and to you. Then I found out my annual conference would be in Chicago this year. I read of your trials, triumphs and tribulations, bought the Alinea cookbook (haven't got past the caramel, yet), and agonized over whether to drop that kind of money on an night out, probably alone (wife couldn't go, doubtful about signing up a friend for something like this). Ultimately, I made a reservation for one for August 26, 2009. Flash forward to Monday the 24th, when I run in to an old friend at the conference icebreaker, someone I hadn't seen in ~5 years. We get to talking and he invites me along to the Frontera Grill the next evening, as he likes trying out good places when he travels. I explain that I see things the same way and then I ask him if he knows who Grant Achatz is. His eyes widen, he says 'Alinea', and I go on to explain my practical problem (dinner alone?)... long story short, he joined me for a truly wonderful meal, including, for me, mental trips back to my grandmother's table, and to places I've never seen before. I would have enjoyed every bit alone, but it was even better to share it with an appreciative friend. All made possible because I spend way too much time surfing... and because you provide such wonderful places to surf. 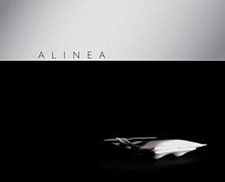 I just discovered Alinea @ Home and I'm soooooo sucked in! You are hilarious and I love reading along and having to stop and say, "wait a minute, she owns an IMMERSION CIRULATOR?!?" So is Under Pressure @ Home next on the list? I ate at Alinea a couple of years ago when IACP was in Chicago. It was mind-blowing, in both a good and bad way. I'd much rather enjoy the recipes at your table! But my hat's off to Grant Achatz. He is amazing. Kudos to you on your fabulousness and thanks for all you do to inspire and delight! I just found you and I love your blog! Checking into how to sous vide Waygu...Yummmmm. Thanks for sharing your experience with it! You are hilarious:) btw, Depeche Mode..yes! I totally get you!